When adjustable beds became available for home use, they were commonly called “hospital beds.” This was only natural, since until that time adjustable beds were primarily used in hospitals. 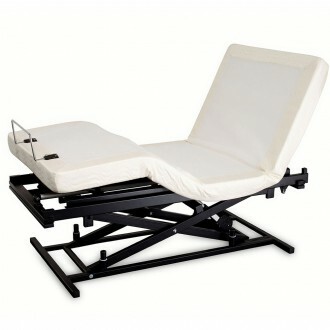 The first adjustable beds were beds with adjustable side rails, first used in English hospitals in the early 1800s. Then beds could be tilted with either the foot high (Trendelenburg position) or the head high (anti-Trendelenburg). In 1874 the first articulated bed was patented by Andrew Wurst & Son, a Cincinnati mattress manufacturer. This bed was hinged in the middle so the head could be raised. Then the 3-part hospital bed was developed at the Indiana University School of Medicine in the early 1900s. Up to this time, all beds were adjusted manually. At first, the elevated part was lifted by hand and fixed in place. Later, they were adjusted with cranks and gears. Then motors were added for lifting and lowering the bed and tilting its sections. In 1945 a motorized hospital bed with push-button controls was patented. Care of patients was the original reason for adjustable beds. Side rails were for safety, as well as an aid for a patient trying to sit up. The Trendelenburg position was for abdominal surgery. Raising the head and torso to a sitting position eased stress on the abdomen. More available positions meant better positions for the patient’s health and comfort. And raising or lowering the bed as a whole made caring for patients easier. The first adjustable beds sold for home use were hospital beds, intended for home care of patients. For some people, this was the only way they could be at home. My grandfather spent the last couple of years of his life at home in a hospital bed after suffering massive strokes. In 1974, 100 years after the invention of the articulated bed, Craftmatic began selling adjustable beds designed specifically for home use. These were not hospital beds, but were designed to be used for one’s health. Customers bought them not only for their backs and necks and for better breathing, but also for comfort. My parents had a Craftmatic bed. Following this, a number of manufacturers began making and marketing adjustable beds for the home. Some were already producing hospital beds. Some started with the home market. Now there are at least a dozen manufacturers of home use adjustable beds. Among the leading producers are Craftmatic, Customatic, Leggett & Platt, Reverie, and Ergomotion. Beyond health and comfort, manufacturers and retailers are now marketing adjustable beds for convenience and lifestyle. Even the term is often changed to adjustable “base” or “foundation.” They can be used for more than sleeping or therapy. “Your bedroom is now your den,” they say. “The positions of the bed make it suitable for reading, watching TV, writing, working on your laptop or tablet, or just visiting.” The sides of many adjustable bases have pockets for various items, outlets for your devices, USB ports, under-the-bed night lights, etc. And style—today’s adjustable foundations are upholstered to match the mattress and/or coördinate with the room décor. As the market for adjustable beds/bases/foundations has increased, so has the number of features. Many models now have massage functions, operating in pulses, waves or combinations. Some have heaters. Remote control handsets were wired at first. Some still are, but now most are wireless, many programmable. The newest remotes are digital, even wi-fi and Bluetooth capable, controlling room functions such as lights and fans. With available apps, users can control their adjustables from their smart phones or tablets. The bottom line is that adjustable beds are still beds. That is their primary function, however they are otherwise used or marketed. So when you consider buying an adjustable foundation for your new mattress (or a complete adjustable bed), first look at how it functions as a bed. Will the positions help me sleep? Would this really help with my back? My asthma? My acid reflux? What are the safety features? And, of course, the multi-thousand-dollar question: Is this worth the cost? If with these features you will really be adjusting for health and comfort, and you can afford the price, it may be. This entry was posted on Friday, February 28th, 2014 at 10:26 PM and is filed under adjustable beds, beds, foundations, furniture . You can follow any responses to this entry through the RSS 2.0 feed. You can leave a response, or trackback from your own site. I suffer from acid reflux and it gets particularly bad at night when I am trying to sleep. My husband and I are thinking about getting an adjustable bed and mattress and I did not know that there are so many features to choose from! You make a great point that some of these adjustable beds come with massage functions as well as wireless remotes to change the position of the bed. Having a remote would be a huge benefit for me so that I could easily change the setting of the bed right away when my acid reflux acts up. This is some really good information about adjustable beds. 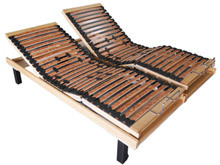 It is good to know that an adjustable bed can help with your health. It seems like it would be helpful to have one of these if you have issues with snoring and breathing at night. A great read! I find this article informative, but I am wondering, is the care for adjustable beds just the same as ordinary beds? I will just share this article I saw online on how to take care of adjustable beds because I find it helpful too. 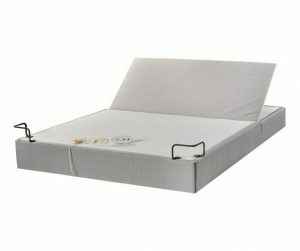 https://www.ultramatic.com.au/care-adjustable-bed/ Tips on how to care for your adjustable beds. I like the fact that adjustable beds were popularized to promote better breathing and proper posture for a person’s back and neck to avoid injuries. Maybe this is something that I need since I suffer from immense back pains from sitting in a sturdy chair in the office all day. What I should need is an ergonomic type of bed where I can rest while not feel that my back is about to break. I’m still young and don’t want to be diagnosed with back problems so I’ll certainly shop around for these and consider my options. The question has been forwarded to the manufacturer. Beds.Org has reviews of the Motion Trend adjustable bed by Sleep Science and several Sleep Science mattresses, including four 10″ models. 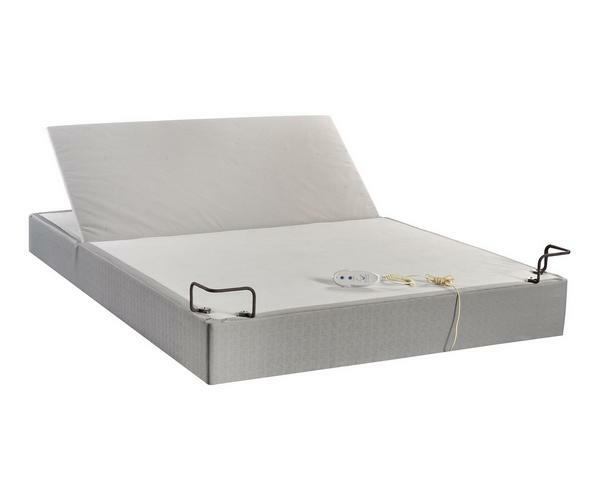 You can post a reviews of the mattress and the adjustable bed on the review pages if you wish. Legget and Platt looks awesome!